I have three new pieces of fanart to show you all. 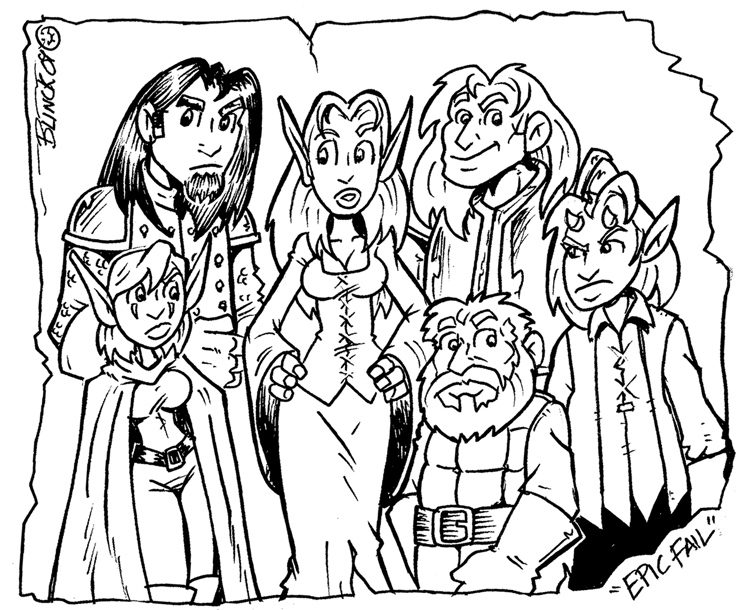 First up Barry Linck, of the webcomic Phineus: Magician for Hire, has drawn the whole team! 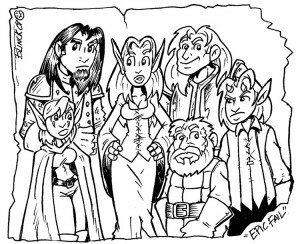 His comic, like mine, has roots in role-playing. I suggest you check it out. Next we have two peices done by friends of mine. 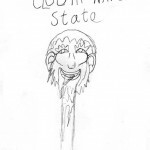 ‘There is Clodin: natural state’ (which is to say he dies a lot) by Jonjo. This is something of a spoiler but not-really. 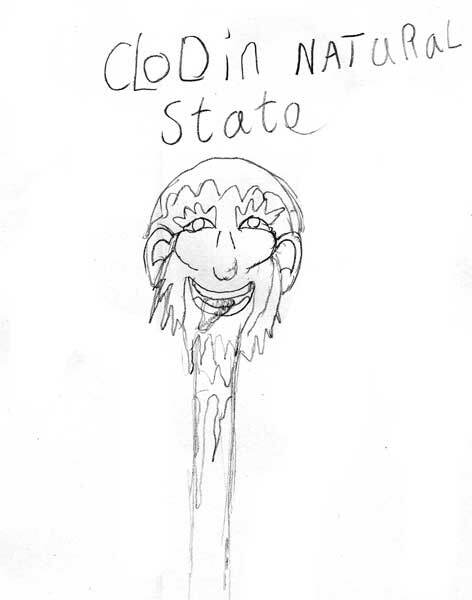 I have begun to describe Clodin as a stick of dynamite: you can be sure he’s going to blow up; whether anyone goes with him depends on how close they’re standing! 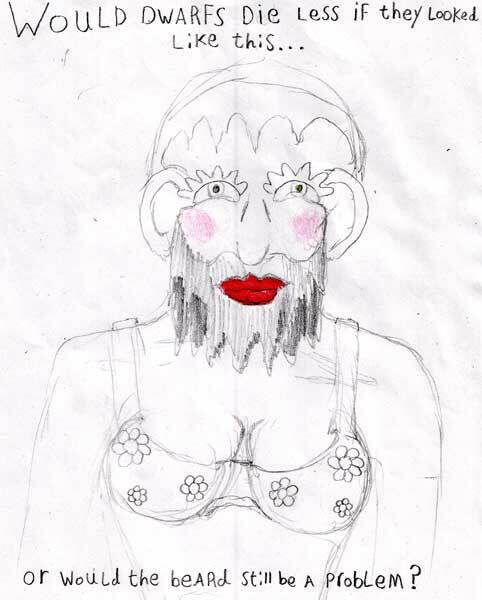 Interestingly this led to a whole debate on female Dwarves. 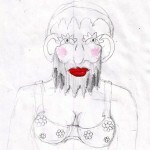 Are there female Dwarves? Do they look just like the men? If they are so indistinguishable could Clodin, in fact, be a woman? Our favorate theory was that Dwarves are like bees: they only have one female – the Queen, who is an enormous, fat Dwarf that all the others ‘service.’ Have I given you disturbing mental images? I’m so sorry.